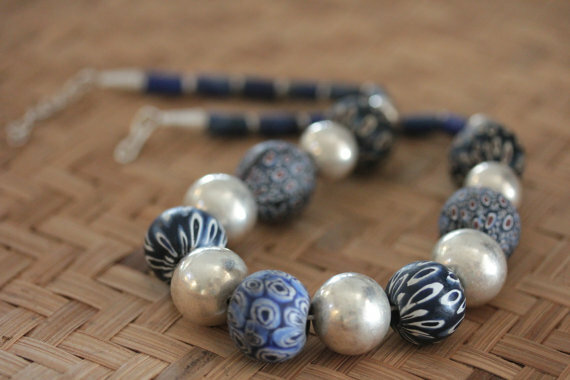 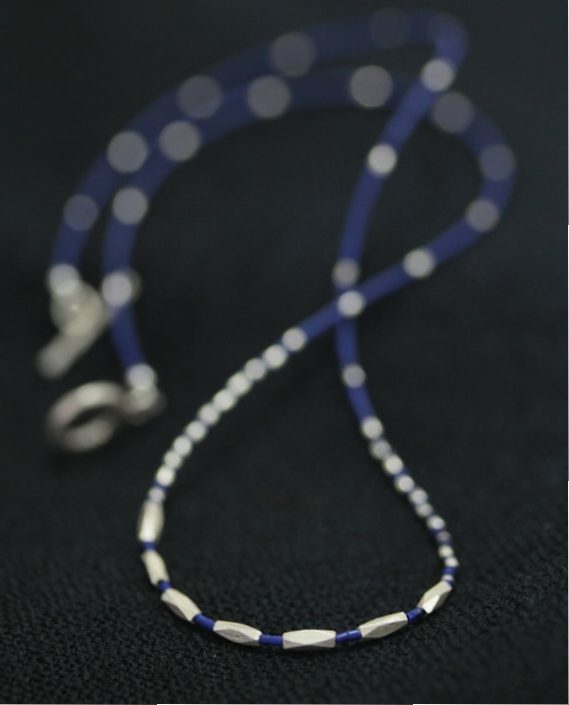 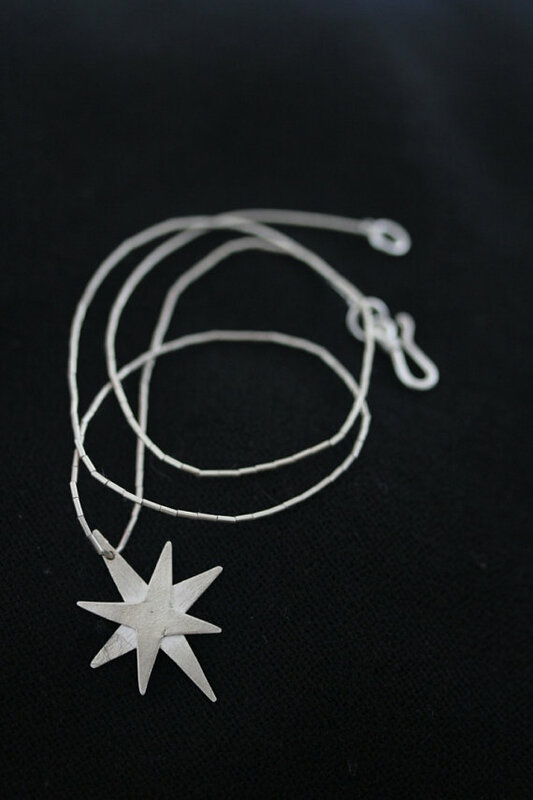 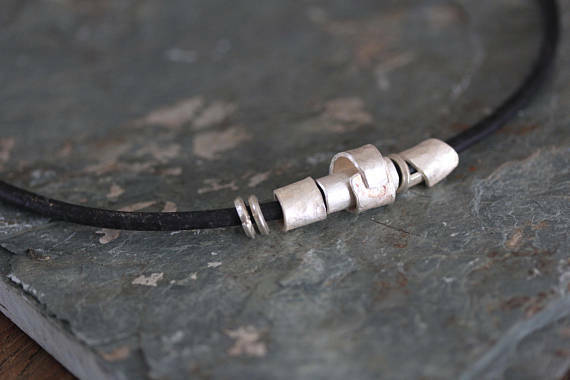 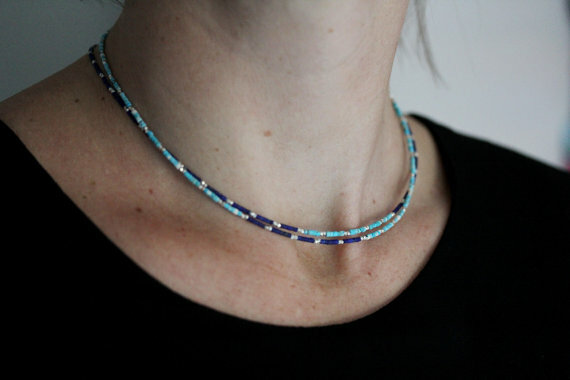 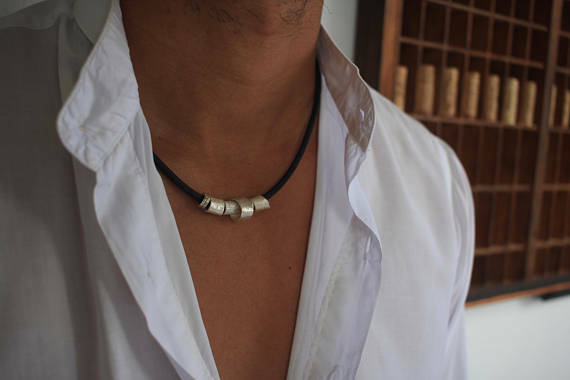 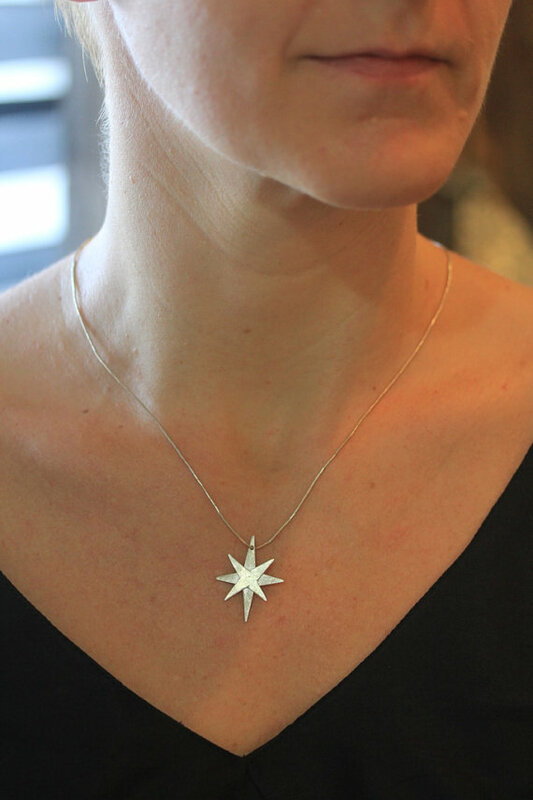 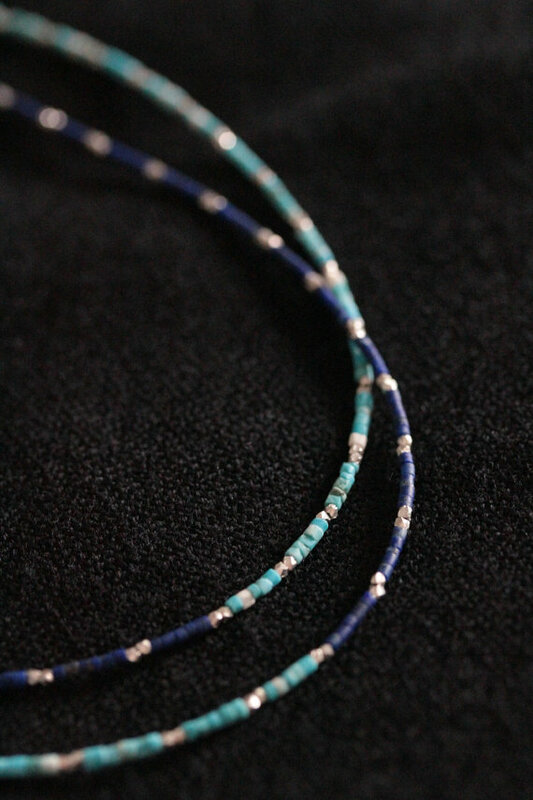 This necklace was created from a series of handmade silver beads, all a bit different in shape, slightly irregularly cut, textured on surface with various techniques and rolled into the final shape. 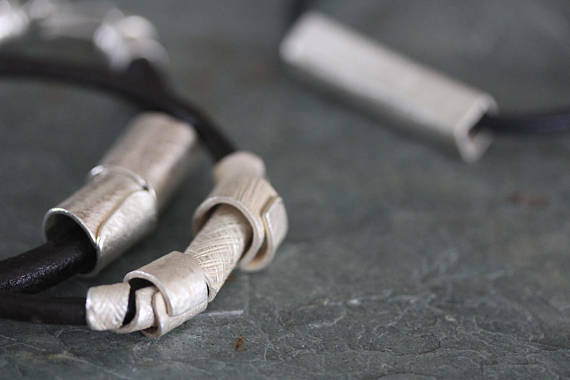 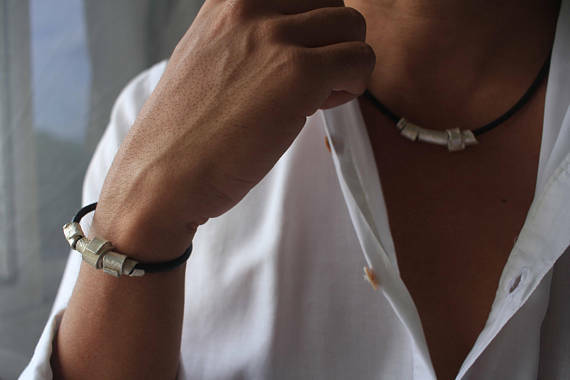 They are all applied on a round-profile dark brown leather string that closes with a beautiful handmade silver hook. 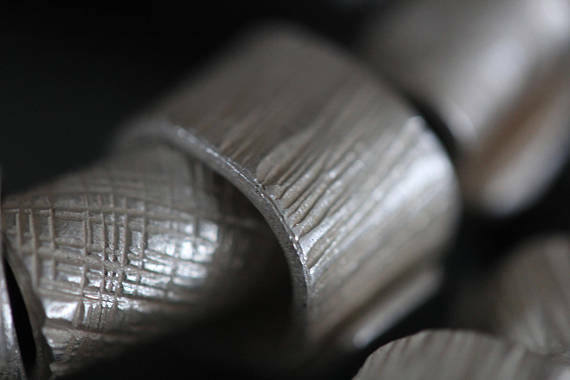 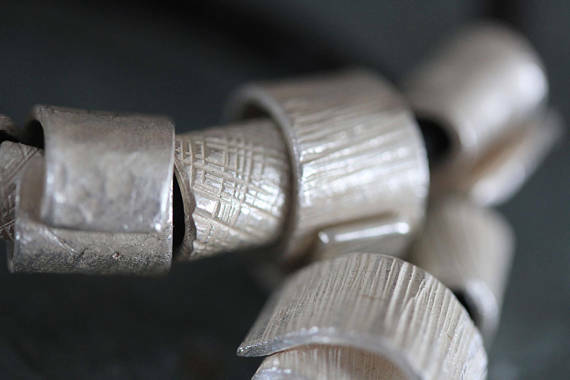 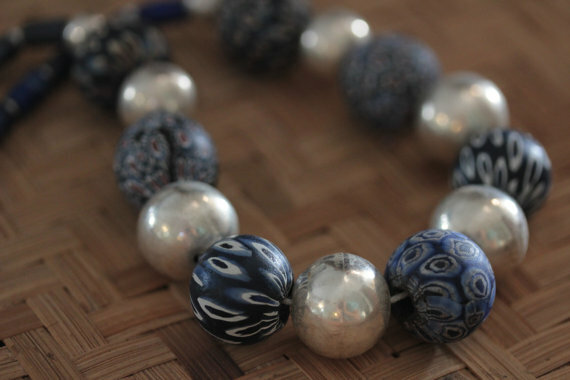 The five silver beads were made of a 1.5 mm thick silver strip, that was hammered so that it left a beautifully embossed texture on the surface of silver.